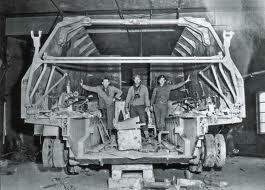 The decision to build this heavy artillery system came in June 1942. In January 1943 a suspension based on that of the Tiger II was ordered. The first prototype underwent trials at the very end of the war. The vehicle never saw service.